Giving back to the community is the cornerstone of who we are as a business and is a reflection of our mission to contribute to the lives of the people in our area. The Barn Inn Bed and Breakfast has been a partnering inn of the Christmas Cookie Tour of Inns since its inception in 2008. 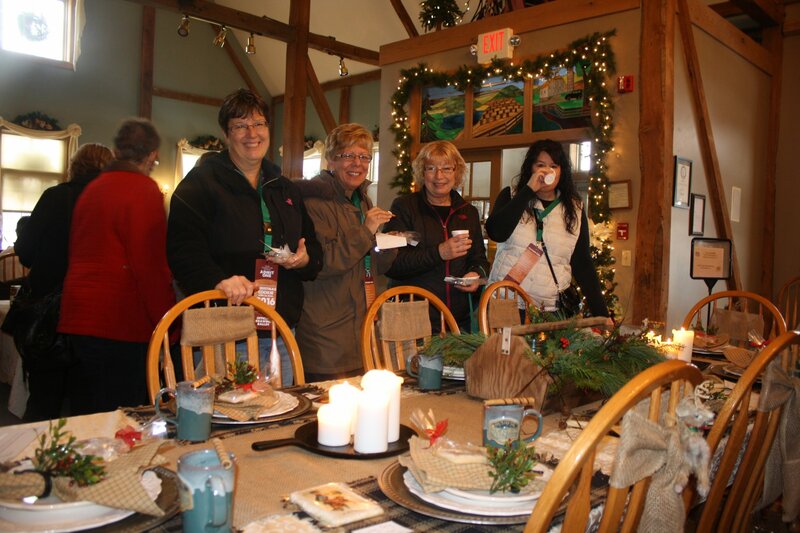 Original owner and founder of The Barn Inn, Loretta Coblentz, is the Chairperson of the Christmas Cookie Tour Committee who is responsible for the continuation and success of this annual charity event. Over the last ten years, the Cookie Tour of Inns has donated over $112,000 to local charities, fulfilling its mission, which is to provide “An Ohio Amish Country Lodging Council showcasing event which exists to benefit local charities”. Each year, charity selections are based on a sincere desire to make an impact on the life of the local community. The Amish Country Lodging Council has chosen Lifecare Hospice for the last several years due to the wonderful care that they provide for patients and families during what can be very trying times. Likewise, the Council has chosen to create a $25,000 scholarship endowment with the Holmes County Education Foundation for the purpose of assisting eligible Holmes County residents in their pursuit of secondary education to prepare for an occupation in the hospitality industry. The endowment has been carefully planned to ensure that students who are awarded the scholarship will continue to receive it for the duration of their pursuit of their bachelor’s degree. To learn more about the Christmas Cookie Tour of Inns, visit their website here. Stay tuned each year on our website and social media to see if the Barn is a participant in a particular year's Tour. We also support MAP, Missions to Amish People. Their mission is to bring Christ to the former Amish people, assist those who have already left by providing basic life skills, and to help churches understand how they can minister to Amish. Since the year 2000, Mission to Amish People (MAP) has provided high-quality assistance to members of the Amish community who are trying to integrate into English communities. As they have grown, they’ve added a number of helpful services, which are available to both Amish and former Amish people. The MAP offices are located in a 3,600 sq. ft. building, situated behind Bethel Baptist Church in Savannah, OH. It is from this office building that several staff members and about 30 volunteers work out of. Since the MAP ministry is not involved with a mission's agency, they have established a 8-member board that is over the entire ministry. This board is made up of local pastors, former Amish, and close friends, who meet a minimum of eight times a year. More information on MAP can be found here.